Maximus David Jason Singh was born in Austell, Georgia, USA on July 11, 2016. He has filled all of our hearts with lots of love, joy and happiness. We would like to thank our family, friends, Adoption Options, Heartsent and AdoptHelp for all of their support during our journey to becoming parents. We were filled with joy and gratitude as we welcomed Linden Jacob into our arms and hearts on September 10, 2015. 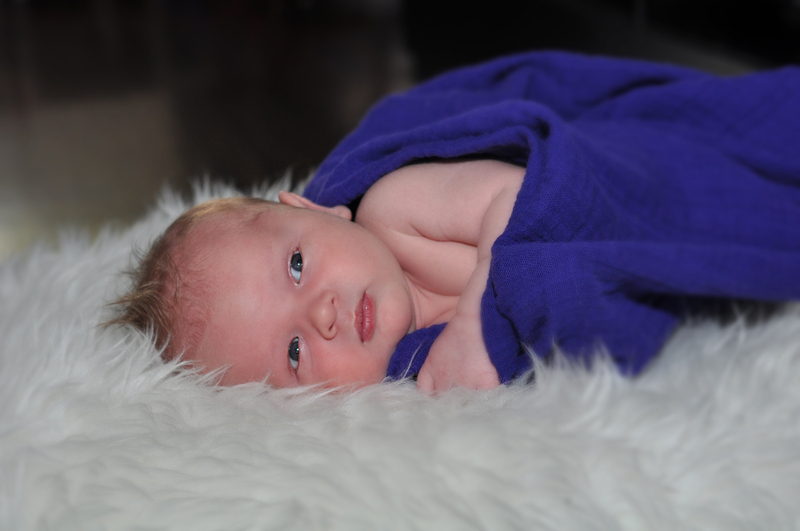 Born on June 24 weighing 2lbs 1oz, Linden is one tough preemie. Big, strong and full of giggles, he has simply captured our hearts. We are so happy to build our family through open adoption and have been excited to learn more about Inuit culture. A special thank you to Nathalie and Erika who graciously supported us through the early days of this journey. Michael and Jennifer are happy to announce the arrival of Emily Meadow who came to us back on Dec 26, 2015 and officially became ours Sept 27th of 2016. Emily will be turning 2 yrs old on November 16th and we cannot think of a better way to celebrate her arrival. We are thrilled to introduce our daughter, Esmae. We are forever grateful to her birth mother for her courage and love, and for choosing us to parent this beautiful little girl. We'd like to send a huge thank you to all the nurses at the Sturgeon Community Hospital in St. Albert for their exceptional care, love and support. And last but certainly not least, we'd like to send special thanks to Barb Keppy, Nathalie Robinson, Melinda Lombardo, Erika Moore and the rest of the AO team for your passion and compassion throughout our entire adoption journey. We are so happy to announce the arrival of our baby boy, Taylor James. 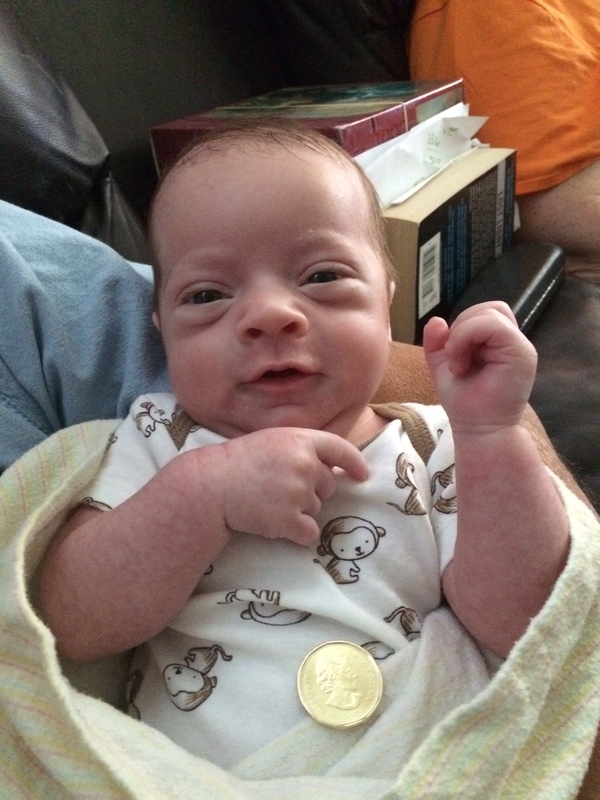 He arrived on July 23, 2015 at 2:16p.m weighing 7lbs 1 ounce and measured 20.5”. Taylor’s birthmother and father were so generous to allow us to be a part of his arrival and allow us to hold him right away and give him his first feed. We took him home on July 24th and have been in love ever since. We are forever thankful to Anita & Josh for giving us the biggest gift and completing our family. Thanks as well to the amazing Adoption Options team for all of their hard work and support through this process. 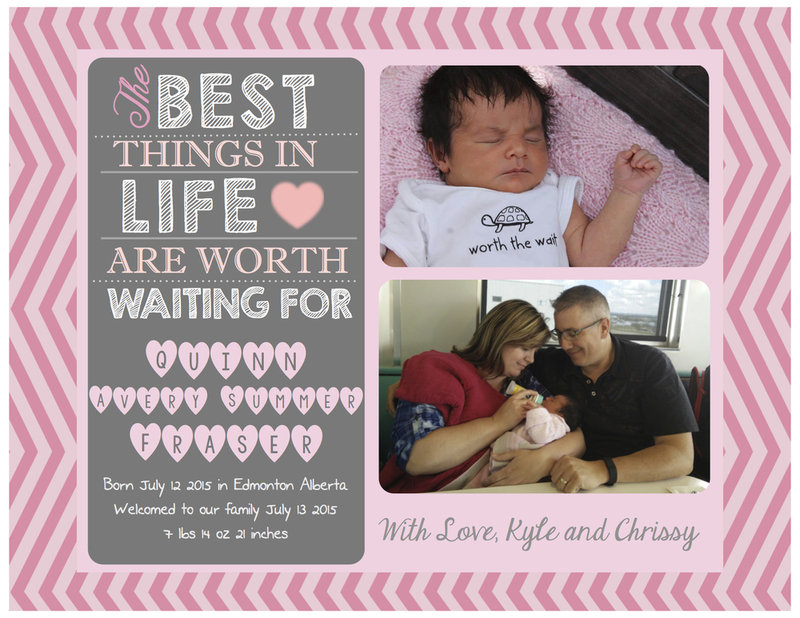 Kevin and Charlene are thrilled to announce the arrival of their precious daughter, Tenley. She was born on November 13, 2015 and weighted 7 lbs 10 oz. Her big sister, Brielle, is also very excited and proud. Brielle was born and welcomed into our family through Adoption Options in 2009. We’re extremely grateful to Tenley’s wonderful birthparents, Anne Marie and Bill, and very grateful to Erika and Nathalie from Adoption Options. Our hearts are full and our family is now complete. Justin and Meghan are overjoyed to announce the birth of their son Bennett. Born December 25, 2014 in West Palm Beach, Florida and arriving home February 5, 2015. The best Christmas gift we could have ever asked for! Thank you Adoption Options for guiding us through the process to help us become a family.